The Deli at Grand Hyatt Seoul is offering a variety of White Day specialties and hamper sets to help you celebrate White Day to its fullest, starting from March 5, 2007. 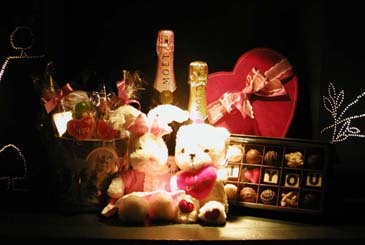 White Day is a new concept in Korea, where the man gives candies and presents to the woman he loves, just like Valentine's Day in reverse. The Deli is busy preparing a variety of special deli items and gift hampers for men looking to express their true feelings to the women they love. The Deli offers a variety of unique hand-made creations including heart-shaped cakes in different sizes and selection of candies, cookies and gourmet chocolates. Special White Day gift sets are also available in beautifully arranged wicker baskets, which you can fill with items of your choice. For those who wish to convey a special sentiment to their loved one, The Deli can inscribe a short message on your cake if ordered two days prior to pick up. These White Day specials are available until March 14 and prices range from KRW 25,000 ~ KRW 200,000 (exclusive of tax).